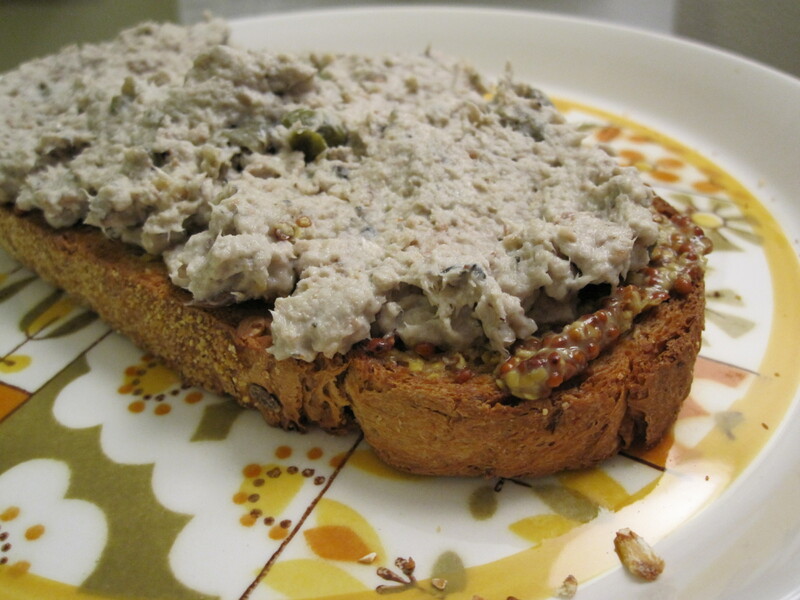 Sardine spread. Even on their own, the words don’t sound appealing; together, they sound even worse. But I promise–really!–that it’s actually better than you think. Mash these together: canned sardines, mayonnaise, capers, lemon juice, hot sauce, and S & P.
Serve on top of crackers or toast coated with a thin layer of mustard. Don’t yell at me if your kitchen stinks after making it. If you go easy on the mayo, or even eliminate it all together, you’ll be left with a heart-healthy spread that will make you not only want to eat it in your underwear (alone, because it smells), but dance in your underwear when you’re finished. Yum. Welcome to the Society!